Quality Management Systems (QMS) can be implemented in any organisation, regardless of the it’s size, business or ownership. ISO 9001 certification demonstrates your organisation’s ability in complying with all its requirements. ISO 9001 certification is globally recognized and can assist with the international trade of goods and services. helps identify and optimize the effectiveness of business processes. After attaining ISO 9001 Certification in Singapore, organisations can include URS, UKAS and SAC logos in their promotional activities. ISO 9001:2015 sets out the criteria for a Quality Management Systems and is the only standard in the family that can be certified to (although this is not a requirement). It can be used by any organization, large or small, regardless of its field of activity. In fact ISO 9001 is implemented by over one million companies and organizations in over 170 countries. The new ISO 9001:2015 has been released in September 2015, contact us for more information regarding the new ISO 9001:2015 standard! This standard is based on a number of Quality Management Principles including a strong customer focus, the motivation and implication of top management, the process approach and continual improvement. These principles are explained in more detail by clicking here ->Quality Management Principles. Attaining ISO 9001 certification helps ensure that customers get consistent, good quality products and services, which in turn brings many business benefits. Checking that the system works is a vital part of ISO 9001(ISO9001 Certification). An organization must perform internal audits to check how its quality management system is working. An organization may decide to invite an independent third-party certification body to verify that it is in conformity to the standard, but there is no requirement for this. Alternatively, it might invite its clients to audit the quality system for themselves. Read more about certification to management system standards. More information about ISO 9001 certification can be found here. The new ISO 9001:2015 standard has been published on 15 September 2015. You can find out more here. Alternatively, you can get more details on the changes from ISO,here. 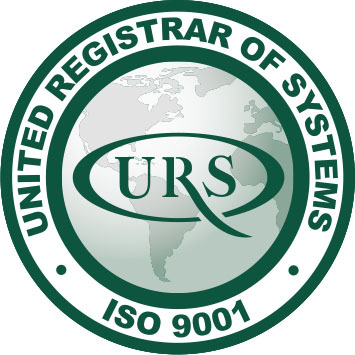 URS Singapore has been awarded SAC-Accreditation for ISO 9001 in Singapore. The scopes are wide and extensive. For a full listing, click here.